Meanwhile, former IPS officer Sanjiv Bhatt met Hardik at his residence, the venue of his indefinite fast. 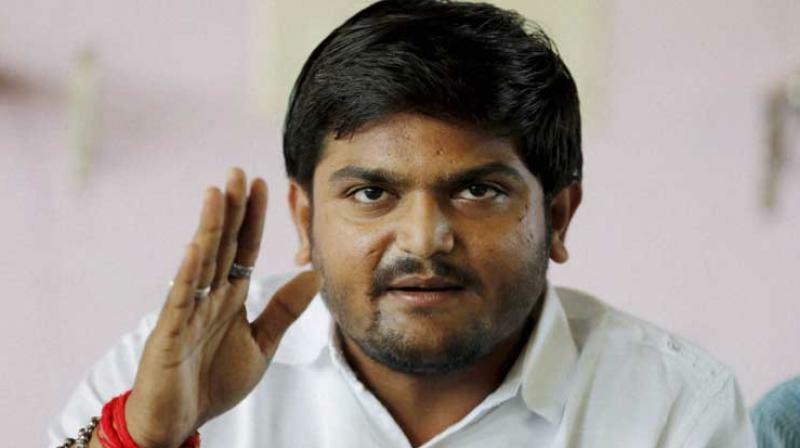 Ahmedabad: Gujarat Congress sought the state government’s intervention to end Patidar leader Hardik Patel’s indefinite fast, which entered the fifth day on Wednesday, by accepting one of his demands of farm loan waiver. Apart from quota for Patidars in government jobs and education, Hardik, who heads the Patidar Anamant Andolan Samiti (PAAS), has been demanding a loan waiver for farmers in the state. He started his hunger strike on August 25. State Congress kisan cell president Harshad Ribadiya on Wednesday dashed off a letter to Gujarat chief minister Vijay Rupani and urged him to accept Hardik’s demand of loan waiver for farmers. In the letter, the Congress MLA also warned the government that if no action is taken within 24 hours, farmers across the state would hit the streets. “If Karnataka, Punjab and Maharashtra can waive farm loans then why not Gujarat? By not accepting Hardik’s demand, this government is projecting itself as anti-farmer. I urge you to accept Hardik’s demand, which is totally valid,” the Congress leader said in the letter. Meanwhile, former IPS officer Sanjiv Bhatt met Hardik at his residence, the venue of his indefinite fast. After the meeting, Mr Bhatt alleged that the state government and police were trying to prevent people from meeting the Patidar leader. “The motive behind deploying huge police force outside Hardik’s residence is to prevent people from meeting Hardik. He is fighting for farmers and youths of his community. It is unfortunate that people are prevented by police,” said Mr Bhatt.